Graham Elliott is an award winning designer/filmmaker who has worked in nearly all areas of commercial art for the past 25 years. Whether directing music videos for Puffy in Japan, television promos for Nickelodeon across 8 countries or a Coca-Cola commercial shot in the backstreets of his native, Manchester, England, Elliott brings his own brand of visual storytelling to the screen. He is a member of the IMF organising committee since 2014. He presented his documentary film ‘New York in Motion’, an exhilarating expose of the ubiquitous, yet hidden art of motion graphics at the IMF 2012, at which he was also a key note speaker. He teaches a Music Video Workshop (KickAssTelevision) and Motion Graphics Portfolio at the School of Visual Arts, NYC. Roswitha teaches Graphic design Portfolio and Visual Branding at the New York School of Visual Arts. She is the Creative Director of Magical Monkey, an award winning Branding, Graphic Design and Advertising Company. She was a guest speaker at the IMF 2012. Roswitha Rodrigues and Graham Elliott will introduce their Master Class, that takes place over the following three days. New ways of looking at your creative process. A 6-hour, hands on experience, spread over a 3-day workshop that will REShape your creativity. In this introduction examples and methods will be discussed. Graham Elliott designed and directed some of the first ever motion graphics at MTV, after graduating from the Royal College of Art, London. Roswitha Rodrigues is an award winning designer and brand specialist. She runs the branding agency Magical Monkey in New York City. They are both professors at the School of Visual Arts, New York. Graham Elliott and Roswitha Rodrigues will introduce their work in progress project, ‘The World in Motion”. 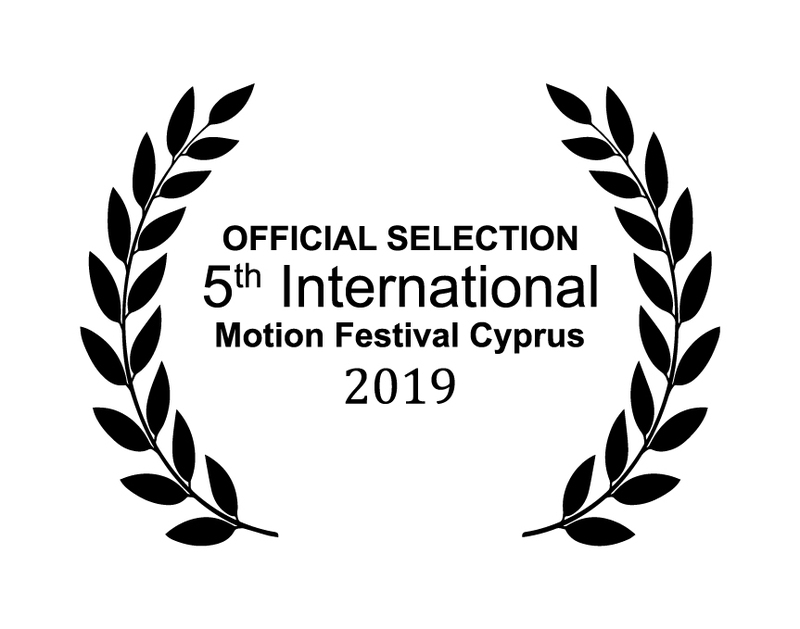 This documentary series is the next venture, after their highly successful, ‘New York in Motion’ film that was shown here, in Cyprus, at the 2012 IMF and in over a dozen festivals worldwide. It examines how environment and cultural context strongly influence designers and their work in different countries around the world. The first episode is ‘Brazil in Motion’ – a look into the creative output of two very different Brazillian cities. São Paulo – a concrete jungle, her streets tatooed by Pixação, a unique & subversive graffiti style. And Rio de Janeiro, a magical city whose metropolis is built upon huge mountains that jut out of the waves and whose streets meld into the sand. How do designers think and work in these two very different cities, that share a common culture? He founded OFFF in 2000, a festival of creativity, involving some 20,000 people worldwide, and it’s still going strong. In 2011, OFFF’s title sequence won a Cannes Lion. And The Poool, a trailblazing creative magazine, launched there in 2013. He also co-founded Atelier, a unique education center in his native Barcelona. Atelier exists to feed future generations of creative minds: the people who will one day make things even more exciting than anything that’s come before. Hector has been working in the creative industries for over 20 years. Artist, filmmaker, creative director, storyteller, seeker, curator … why put a label on it? He thinks, and he makes. Whatever the details, all Hector’s work is about creating unique experiences. Lilit Hayrapetyan is an art director, designer and 3D artist based in the Los Angeles area. She was born and raised in Armenia. Lilit was influenced by an array of art mediums in her youth. From cultural and traditional drawing to contemporary art and sculpturing, her early exposure to visual expression later inspired her to study design at the Yerevan State Academy of Fine Arts in Armenia. Towards the end of her Academy, she started her professional career at the leading Motion Design studio in Armenia, Triadastudio, where she gained the opportunity to build an extensive knowledge of 3D. Lilit has since developed a scope of work ranging from Film and Television, title sequences, commercials, visual effects. After 10 years of work experience at Triadastudio, LIlit was invited to the Los Angeles based Design Studio, Prologue. She currently works at Psyop as an Art Director, designer and 3D artist. Lilit has worked on feature films, title design, television branding campaigns and commercials for Nike, Apple, Panasonic, At&t, Droid Verizon, Audi, Mazda, Jeam beam, MTv, Espn, Life Time, Sherlock Holmes : A game of shadows, The Amazing Spider-Man ,The Twilight Saga: Breaking Dawn, Final Destination 5. How to get the job in this very competitive field, how to be original and make beautiful styleframes. Will show some examples of presentations and will share some techniques and tips. I would start with short bio speaking about my career, how I started into CG world. How I did my move from Armenia to all the way to be an art director at Psyop. Will share some experience about working on some spectacular projects at Prologue. Born in 1979, in Thessaloniki, Greece, Theodoros Tziatzios honorably graduated as an “IT multimedia software expert” in 1999. The same year he won first place at the “1st National Multimedia Contest” in Greece. After years of work in the field of motion design and 3D animation as a freelancer, in 2007 he founded “Real Creations”. Today, Real creations having successfully completed over 300 domestic and international commercial productions, ranging from broadcast motion design to corporate presentations and from high-end special effects such as the “Timefreeze”, to independent short films, the company continues building on its success. Recently, he was awarded the silver award in the Ermis Awards 2013, in the digital video production category. Some of the clients that have trusted Real Creations over the years are: Cosmote, OTE, Porcelana, MLS, Petit Bateau France, Smart Belgium, Replicar Hellas, Axel Accessories and many more. The International Motion Festival, is a great opportunity for artists all around the world to showcase their best work. But have you wondered why some projects fail miserably, most of them are buried after viewing and others become demo reel material? What are the main reasons that makes a project a success? I will share a few common problems that I have encountered over 15 years of commercial production and discuss the process of failing, admitting, analyzing, adjusting, re-adjusting and finally learning from your mistakes. I will also share the conception and implementation of the ‘Timefreeze’ platform along with the analysis of a few commercial projects and investigate how failures in various stages of production stimulated creativity. Christina studied music at King’s College London (ΒMus Hons) and at City University London (MA, PhD) with honorary scholarship, receiving, amongst others, three awards in piano performance by festivals in London and Brussels. She has performed in Cyprus, Greece, the United Kingdom, France, Belgium and Hungary. She has composed music for the stage, TV, and mostly for short and feature films produced in Cyprus, Greece, U.S.A and Lithuania, winning, among others, the Best Soundtrack Award at the Monaco International Film Festival 2008 for the music and sound design of the short film Styx, for which she has also written the screenplay. In 2014 Christina was nominated for the Best Music Award at the National Theatre Awards (Th.O.C) for the stage play Love Lies. In 2011 she founded Blunatic Pictures, producing short films. Genesis 2:26 (2011), featuring a screenplay, music and sound design by Christina, received the First Prize at the Videominuto Film Festival 2012 and the First Prize at the Kiev International Film Festival 2013. Additionally, her screenplay Eternity and a Night received the Big Audiovisual Award at the Micrografi competition (Athens, 2012) and went on to be produced by Blunatic Pictures under the title For Eternity, winning, amongst others, an Honourable Mention at the Film Festival in Drama, and a Scenography Award at the Athens Digital Film Festival in 2014. Also in 2014, the short film Afterthoughts, featuring a screenplay, music and sound design by Christina, won the Second Prize for Best National Film at the International Short Film Festival of Cyprus. Christina is a Member of the European Film Academy since 2012 and a part-time lecturer at the University of Nicosia. More information available at www.blunatic.com. The screenplay is often just the beginning of a long process of changes, improvements and transformations, until the final version of a film is out. Using the short film “Afterthoughts” as a case study, I will discuss these transformations and the way each part of the production process has contributed to the end result. Tyler Galloway is an Associate Professor in the department of Visual Communication at the University of Kansas, with primary research and practice interests focused on design for social change and participatory design processes. He has presented papers at multiple AIGA national design education conferences and recently was an invited participant in the “leap” symposium on design for social innovation at Art Center College of Design. His design work has appeared in several national and international political/social poster exhibitions and been published in the books “The Design of Dissent”, “Reproduce and Revolt” and the Turkish socio-political design magazine “No Tasarim”. His design studio, the new programme, is focused on facilitating community-based social change through both client-initiated and designer-initiated work. tyler holds a BFA from Missouri State University, a MGD from North Carolina State University and loves riding bikes, punk rock, vegan cookies and being a dad. Marty Maxwell Lane is a graphic design educator, maker, researcher and writer. Her research is focused on design pedagogy, media literacy, collaboration, and speculative interactive spaces that facilitate learning. Her active role in the design community has led her to present at conferences in Berlin, London, Rome, Toronto and the United States. Marty served as a regular writing contributor to the design journal, Parse. Her work has been published in books such as Creative Anarchy, Failing Forward and Type Rules! The Designer’s Guide to Professional Typography. As a long time AIGA member, Marty has served on numerous boards, including the Director of Education for the Kansas City chapter. Prior to joining the University of Arkansas, Marty taught at The Kansas City Art Institute. Marty received a BFA in Graphic Design (honors) from the University of Illinois-Chicago and a MGA from North Carolina State University’s College of Design. Storytelling conventions are widely used by user experience designers throughout our process to help better connect with user’s goals, motivations and emotional responses. The transition from cool objectivity to the empathy needed for true human-centered design is achieved through the use of detailed personas and storytelling, which allow interdisciplinary teams to understand the shared goals of the audience and project. However, these successful storytelling approaches rarely make it to the proof-of-concept pitch that may occur while physically in a room with a client, and which can also occur online in places like KickStarter. We are not merely pitching isolated ads, but entirely new ways of carrying out familiar tasks and experiencing our world. In addition to storytelling, interaction designers find guidance for their pitch in the conventions of motion design. Interaction can’t be fully or properly communicated in a single image, or sequence or images, particularly as interactive transitions become more animated. Transition and motion allow viewers to understand the inherently time-based nature of interaction design. Our proposed pitch format strives for conditions that produce a reflective state with audiences that allows them to contextualize the interactive design concepts and achieve big-picture thinking. During our presentation, we would like to expand on these points, and share the shift from single image mockups to comprehensive videos that we have advocated for in our teaching of interaction design. Martin Ferdkin is an award winning 2D/3D Motion Graphic Designer specialized in TV Branding and Broadcast Design. He was born in 1979 in Buenos Aires, Argentina. He has a degree in Graphic Design from the University of Buenos Aires (UBA) and added postgraduate degrees in Corporate Identity Management and Marketing and various workshops of 2D and 3D animation, post-production, illustration and photography. He also has worked as a teacher for 6 years at UBA, participating in Visual Identity Design (Chair Brea), Graphic Design II (Chair Mendez and Gabriele) and Marketing (Chair Gagliardo). Martin has reached the top of creative scale as an Art Director, leading design teams, at first in a publishing company and then in graphic design studios. But his real passion was motion graphics and TV branding so he took his chances and I left the Art Director role to be a designer in a TV channel. That sacrifice turned to be his best career decision. For the last 7 years he has been working as Senior Motion Graphic Designer for TyC Sports channel (Argentina) developing on-air branding, promotions and shows packagings from conception to final delivery. He won many PromaxBDA Latin America Awards with several of these productions. TV Branding is a problem solving discipline that require to use of the inner artistic engine and taking accurate decisions. All my work is characterized by an intense conceptual development over a fundamental pillar: Pertinence. That’s a powerful tool that allows designers to produce a thousand of different creative answers coherent to the projects matters. Therefore, I like to say that passion and pertinence have been the most powerful allies of my career. I will share my 7 year experience as Motion Graphic Designer developing on-air branding, promotions and shows packagings for TyC Sports, the most important football channel of Argentina. Working on the visual identification of football in Argentina has represented a challenge and a huge responsibility because it ́s a mighty cultural expression and also the greatest popular passion. I will present a visual journey of in-house key cases of study that were conceived, built, implemented, recognized by influencers and also awarded by prestigious organizations such as PromaxBDA. The talk will be focusing on how to find the right design strategy across the different contexts and budgets of the projects. This is not just a presentation of the work and techniques, but also a motivational talk prepared to cause sparks in the hearts of students and professionals through my experience combining my two personal passions: football and motion design. Emy Bulloch is an award winning film director/art director who has been working extensively in theatre, cinema and TV productions. She was born in Athens but has been living in various countries for the past 25 years. She studied Law, and then she went on to studying Fine Arts at the Art League Institute in Virginia and film directing at Queen Margaret University, Edinburgh. She is currently pursuing a MA in theatre studies. After being introduced to the possibilities of 3D animation and special effects in filmmaking, she started experimenting with incorporating various mediums of art form in her short films as a means to a personal journey of expression. In her job as a freelance art director, director and script writer she has been applying these very principles of alternative expression as ways of seeking interesting outcomes. An introduction to video art as a form of film making. Video art is quite often a lonely voyage to expressing oneself or even a triggering excuse, through which the idea comes to being captured in first place. With the unlimited possibilities of the digital apparatus, this process is more within grasp than ever before. Actually, there is not only one right or wrong way by which to go about it. A personal approach to how this can become possible through continues experimentation. Aristarchos Papadaniel was born in Athens in 1978. He studied Tourism Business Administration, Graphic Design (ΒΑ hons) and Animation (MA). Author of the book “Greek Political Caricature – The Serious Side to a Funny Art” (2003) and creator of “Pocket Cinema” flipbook series. In 2005 he co-founded the creative studio Syllipsis Ltd., where he produces visual communication through animation, illustration and graphic design. A number of his illustrations has been published by magazines (“Athens Voice”, “PC Magazine”, “9 magazine”, “Metropolis Press”, “+design” etc. ), exhibited on galleries and broadcasted on various TV series and shows (“The X Factor” etc.). 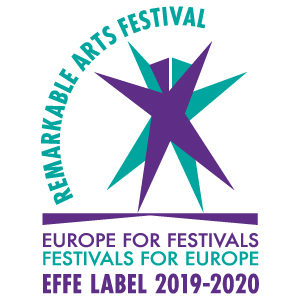 His cartoon animation creations have been broadcasted by Greek public, private and satellite TV channels (ΕΤ1, ERT World, MEGA Channel, MAD TV), and/or hosted by various events (Greek Graphic Design and Illustration Awards-EBGE) and festivals. Co-creator (direction-animation) of the awarded educational animated series “A Letter – A Story” which is produced by the Educational RadioTelevision of the Greek Ministry of Education. Based on the TV series a digital interactive learning environment is being developed [Medea Awards 2012 (highly commended), Stamp of Good Digital Practice (University of Athens)]. Founding member of ASIFA Greece and full member of the Greek Graphic Designers’ Association. Sophia Madouvalou was born in Athens in 1949. Her studies in Developmental Psychology, Educational Technology and Film Directing persuaded her that without humour, imagination and creative expression, education cannot mould and shape creative and happy people. From 1979 until 2010 she worked as a specialist in Educational Technology for the Greek Educational RadioTelevision supporting with her work the Greek school curriculum. She is the creator of at least 150 educational programs among them the awarded series “A Letter – A Story” as well as the awarded interactive educational CD-ROM “Diagoras in Olympia” (in collaboration with the University of Crete, Department of Education) aiming to teach the Greek language as a second language and author of the book “Contemporary Education and Television” (1984). Sophia Madouvalou’s contribution to literature numbers 70 books for children. Some of her books have received national and international distinctions and awards and have been translated into English, Chinese and Korean. In addition, part of her work is included in the first grade Greek schoolbook anthology. Sophia Madouvalou’s work had been honored by the Greek nomination for the International Hans Christian Andersen Awards (IBBY – International Board on Books for Young People, 2014). The interactive learning environment “A Letter – A Story” is an innovative multimedia-learning package aiming to teach preschool and primary school pupils the Greek alphabet and language through entertainment. Pupils familiarize with letters and sounds of the Greek alphabet and language through verse based, funny, surrealistic animated stories, which combine the educational language with that of fairytales and television. Each episode is designed within a context of interdisciplinary and holistic approach to knowledge and thus supports the school curriculum in an innovative, original and attractive way putting the arts of poetry, animation and music in the service of education. In addition, interactive games are being designed corresponding to each of the 24 letters of the animated series. Producer of the project is the Department of Educational RadioTelevision of the Greek Ministry of Education. The paper consists of the presentation of the multimedia learning package, its educational design and the way it can be utilized. In this context the educational objectives of the animated series and its digital interactive applications are presented. Adriana Navarro Álvarez (aka Adriana Baradri) is a PhD in Art: Production and Research, from the Polytechnic University of Valencia. Her opera prima Vía Tango was nomineed to the Goya Awards 2014 and has been selected in more than a hundred of international festivals. She was the co-curator of Prime the Animation 2! International Showcase of Animation Student Short Films and was part of the staff of Hollyshorts Film Festival (Hollywood). She has distributed Valencian animation short film from CulturArts IVAC (Valencian Institute Audiovisual and Cinematographic) and published research essays in Confia International Conference on Illustration & Animation (Portugal), International Academic Forum Anima (Argentina) and Con A de Animación (Spain). Title: The Independent Animated Short Film as Therapeutic Tool for Artist, Patient and Healthcare Professional. An Approach through The Case Study of Squid Ink and C Plan. It is increasingly common to find more examples of animated films that reflect social realities related to the world of health, showing animation as a universal language that treats problems with complex medical and social significance, to the extent carried out the creation of specialized conferences, as Art Spaces and Health, held in the hospital of Denia (Alicante) in 2014. This article analyzes Squid Ink (2014) and C Plan (2015), two independent animated short films made by Adriana Baradri, whose conceptual approach is Crohn’s disease and hepatitis C, respectively. On the main sources of inspiration everyday reality of the patient at Squid Ink, and certain tasks of health professionals in Pla C, in two parts, the animation is used as a therapeutic vehicle for promoting positive social values, aimed at raising awareness and social stigmatization of these diseases, bringing them to the public.Furthermore, the idea of the practice of animation as an expressive medium that finds applications in the health field will be highlighted, either empathizing with patients and specialist medical staff, as participants in the artistic values of the animated image, through the analysis of the proposed short films, large allegorical, to make use of animals as main characters to represent symptoms of the diseases mentioned above, without relying on a complex narrative structure and very elaborate movements. The paper will stress the idea of animation as a metaphorical art , which rejects the common objective representation of live-action to concentrate on creating its own vocabulary, capable of reflecting the disease from a hopeful outlook, embodied by abstraction and symbolization of the characters and the situations that occur in the narrative. Renos studied Fine Arts and then continued with Design and Advertising. He undertook a postgraduate specialization in Broadcasting, New Media Design and Production, gaining his first experience in the United States, working for Coca-Cola, CNN, FOX5, SEGA and many others. Moving to Europe, Renos became a freelance designer for advertising, marketing and production companies in Greece, Cyprus, Serbia and the UK. Upon returning to Cyprus, he worked as an art director and later as a Creative Director. In 2007 he founded the Cyprus Creative Club and started his own company, Daedalus Creative Services, which specializes in brand engineering and public image creation. In June 2013 Daedalus CS is acquired by ConversionPros, a marketing communications and service company specialized in the retail financial sector. Renos now stands as the Creative Director at ConversionPros. The Cyprus Creative Club will be presenting the 2014 ADC*E (Art Directors Club of Europe) Best Adverting and Design Awards – Commercials and Motion Graphics Show Case.